Established in 1992, BS Recreational Farm is located on Point Peninsula, Three Mile Bay, New York State, better known as "Paradise North". Owners, Bruce and Sherry Kingsley have meticulously renovated the large mission style farm house and surrounding out buildings. The house is a duplex construction with an apartment on the East side. The apartment includes two bedrooms which sleep eight. There is expanded accommodation with four additional bedrooms. 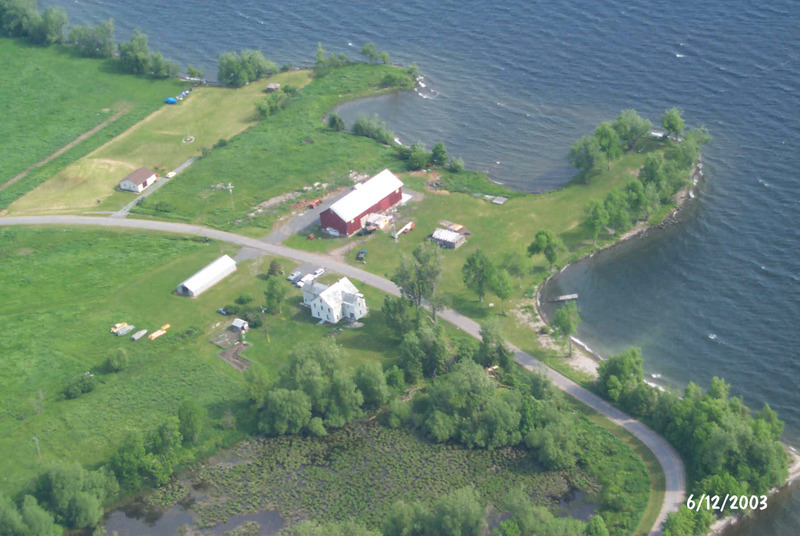 The property boasts over 2000 feet of water frontage on the eastern shore of Lake Ontario with boating, swimming and fishing opportunities. The surrounding acreage of nearly 700 acres contribute abundant wildlife habitat, hiking, cross country skiing, bird watching, and hunting. Point Peninsula and the St. Lawrence River Valley are recognized as a bird migratory flyway. Two large barns provide boat and RV storage space. Farming aspects continue although the dairy cows are long gone. The farm has retained crop production mainly hay, firewood, and forest timber enhancement. In addition there are many acres for food plots to enhance wildlife. We are active members of associations such as Quality Deer Management, National Wild Turkey Federation, Ducks Unlimited, NYS Forest Owner Association, NRA, etc.